When building websites and applications, too many companies make decisions- on everything from new product features, to look and feel, to marketing campaigns- using subjective opinions rather than hard data. 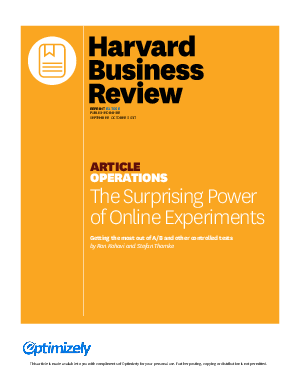 Companies should conduct online controlled experiments to evaluate their ideas. Potential improvements should be rigorously tested, because large investments can fail to deliver, and some tiny changes can be surprisingly detrimental while have big payoffs.